How many people today believe there is an actual place called "Hell”? When we bandy the word around casually in meaningless exclamations, habitually insert it into conversation to appear more emphatic, or order someone there in a burst of anger -- can we honestly believe it's real at all? Have we, even for a moment, stopped to consider what Hell is? When the physician and theologian Dr. Faustus (in Christopher Marlow's play of 1593) craved earthly knowledge, power, and fame above everything else, he willingly made a pact in blood with the devil, by means of sorcery, to gain these ends. Nothing he desired was denied him for the brief space of 24 years. During that time, did he even for a moment, stop to consider what Hell is? When the years expired, Dr. Faustus was panic stricken by his terrible bargain. He'd bartered away his never-dying, unique and precious self, his soul, to the avowed enemy of his soul, for what now seemed dust and ashes. Now he must anticipate a perpetual eternity of hopelessness and despair. When the play ends, a great gash in the stage floor opens up, smoke belches out and the doomed doctor descends screaming into the hideous red abyss. It’s a dreadful scene. I was appalled to hear many in the audience laugh. Had they, even for a moment, stopped to consider what Hell is? It's plain that few people think that Hell is real. Some flirt with or embrace the powers of darkness and death, but if not irrevocably trapped in Satan's snare, in quiet moments they long for life and light instead. In order to think correctly about Hell, we need to answer these questions: Why is there such a place? What do we know about it? If it's a choice, how can we avoid it? The only One with authoritative answers to these questions is He Who made Hell and Who told all He wanted us to know about it. True, some who've been revived from clinical death (heart-attacks, drowning) have seen visions of horror and desolation which they may, and usually do suppress, but it often affects their lives. Some, in passing from this world to the next, catch glimpse of what awaits them for rejecting Jesus as their Savior, and their shock and fear is communicated to those left behind. Furthermore, all qualities of God and gifts of the Holy Spirit --love, joy, peace, long-suffering, kindness, goodness, faithfulness, gentleness, self-control (Galatians 5:22-23) -- will flourish in Heaven and be painfully lacking in Hell. And who wants to face either the present or eternal life without the comfort of these? Moses told Israel, "I have set before you life and death, blessing and cursing: therefore choose life!" 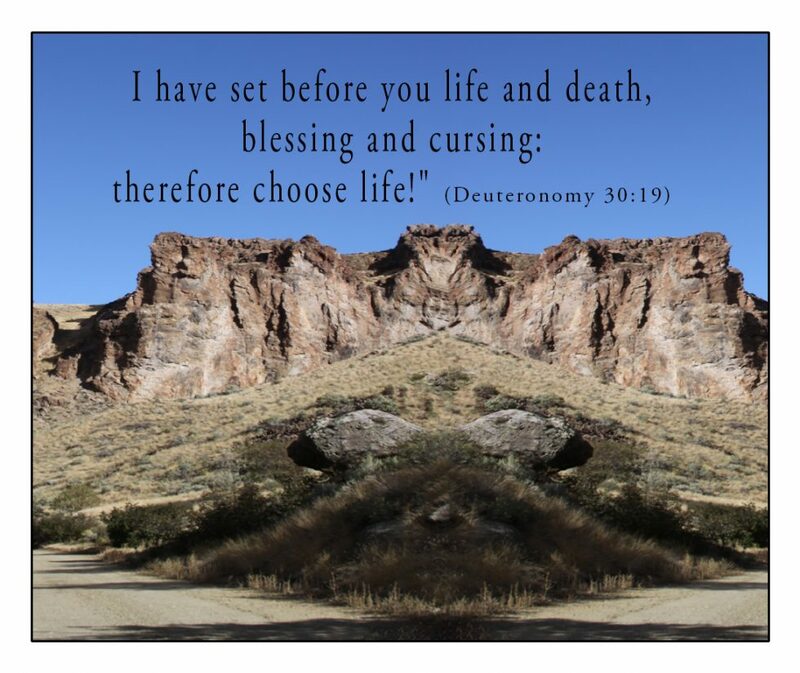 (Deuteronomy 30:19) Now God says, "Choose LIFE, not death!" For Heaven and Hell are real, and Heaven is glorious beyond our comprehension (1 Corinthians 2:9), but Hell is too horrible to contemplate. God gives us a choice; DON'T CHOOSE TO GO TO HELL! And warn as many others as you can!